Horace Sheffield of Barnesville, Georgia, completed a lifelong goal – to graduate college. The 88-year-old, along with his tutor Amanda Brannock, walked across the stage to accept his diploma at Shorter University. 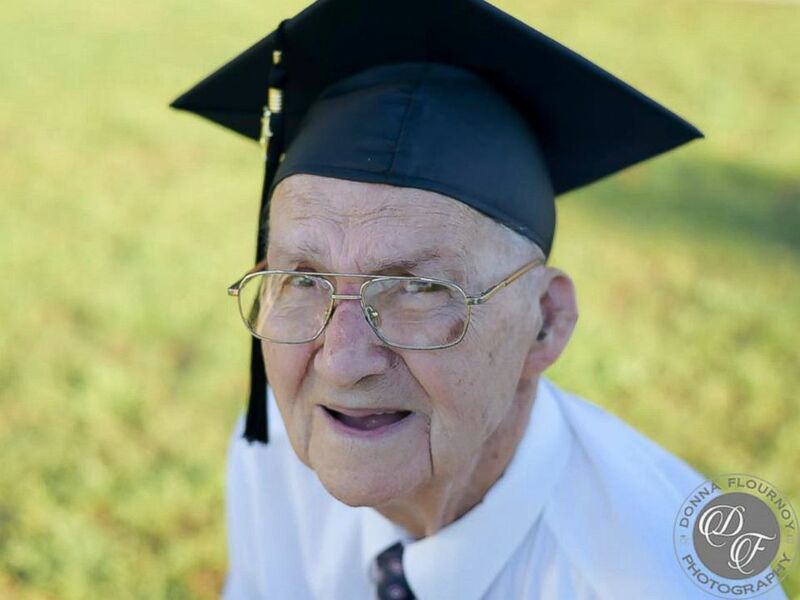 Sheffield went to Shorter University from 1960 to 1965, but he quit before graduating to help educate his daughters. He credits Brannock, who “walked beside me to make sure I didn’t trip over wires or something,” for being the only reason he was able pull off this accomplishment. Brannock does not have a degree yet herself, but Sheffield said the second she earns one he’ll be walking across the stage with her too. 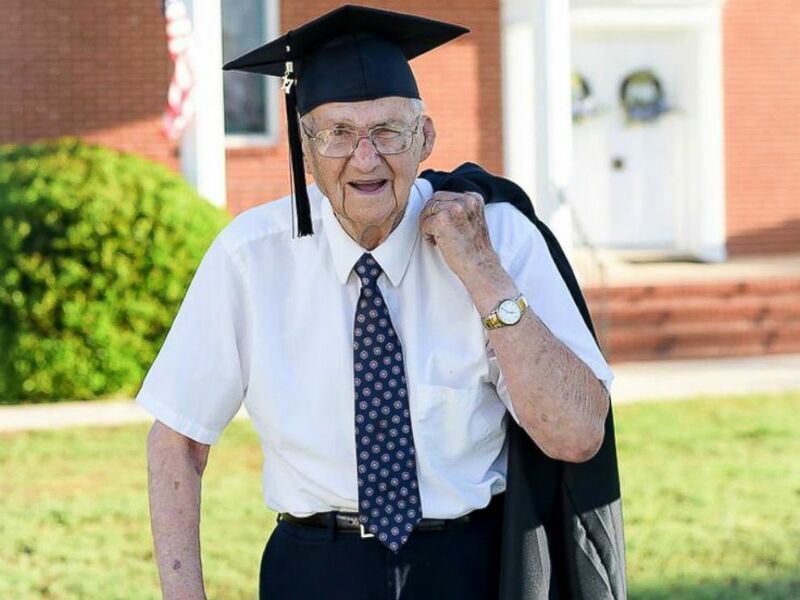 Sheffield said he’s “real excited” to finally have graduated. 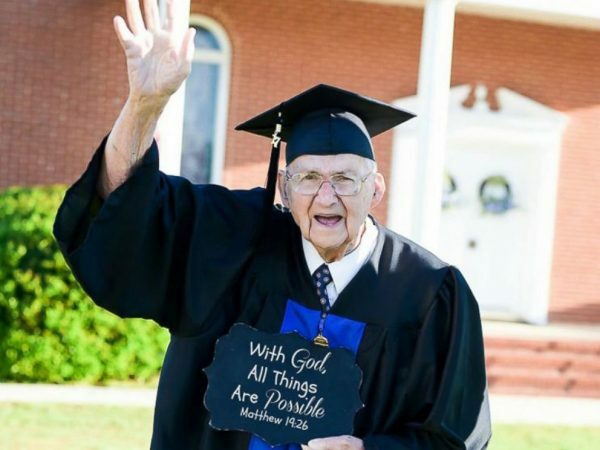 “A man 88 years old don’t have an opportunity to walk across the stage many times in life,” he said with a laugh.